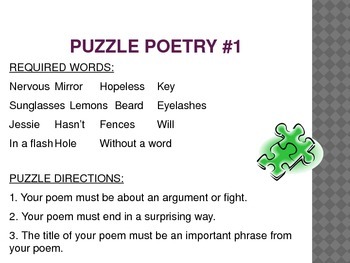 In this creative writing activity PowerPoint, students must create a poem that follows the word specifications and poem directions on each page. 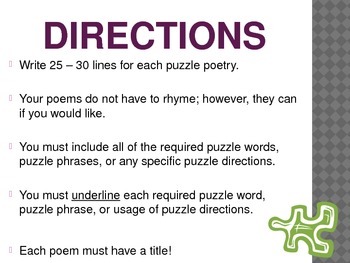 Each slide has different requirements for a poem. 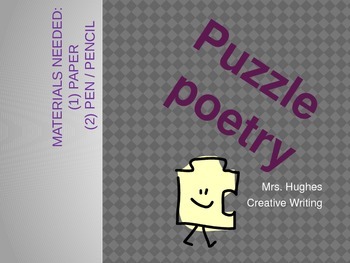 This presentation consists of a directions slide and 4 "Puzzle Poetry" slides. These a great activities to expand students' creativity and encourage them to have some fun in their writing.